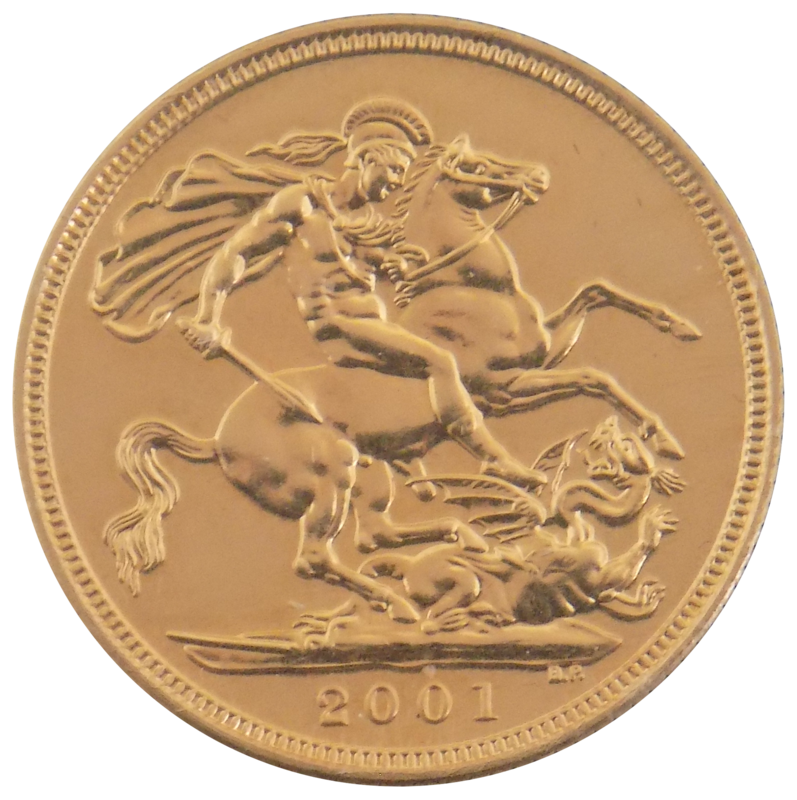 The 2001 UK Full Sovereign Gold Coin features Benedetto Pistrucci's design depicting George & the Dragon on the reverse, the year-date of the coin also features. 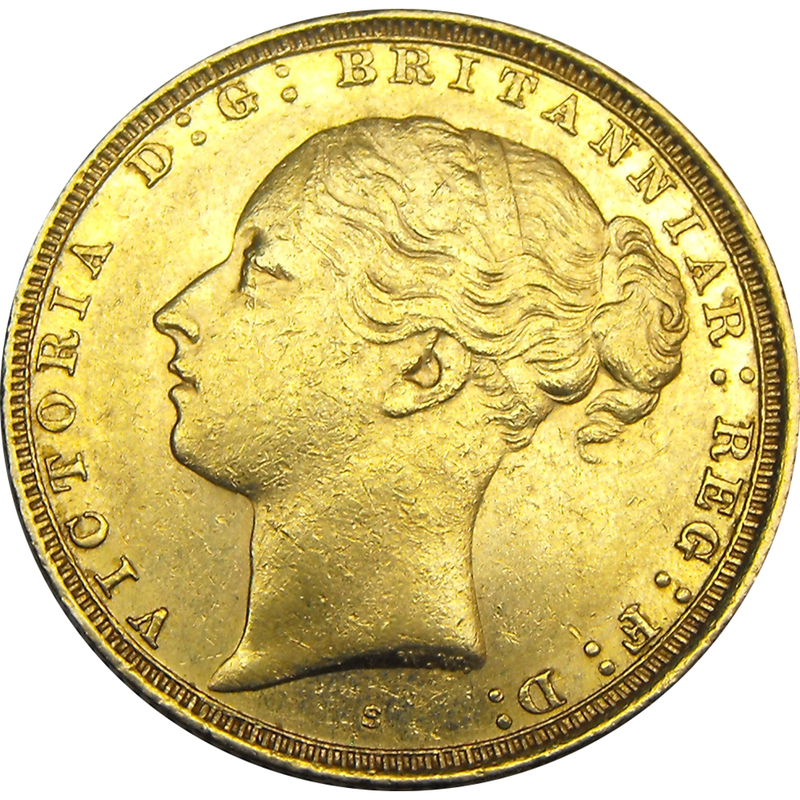 The obverse depicts the fourth portrait of Her Majesty Queen Elizabeth II. 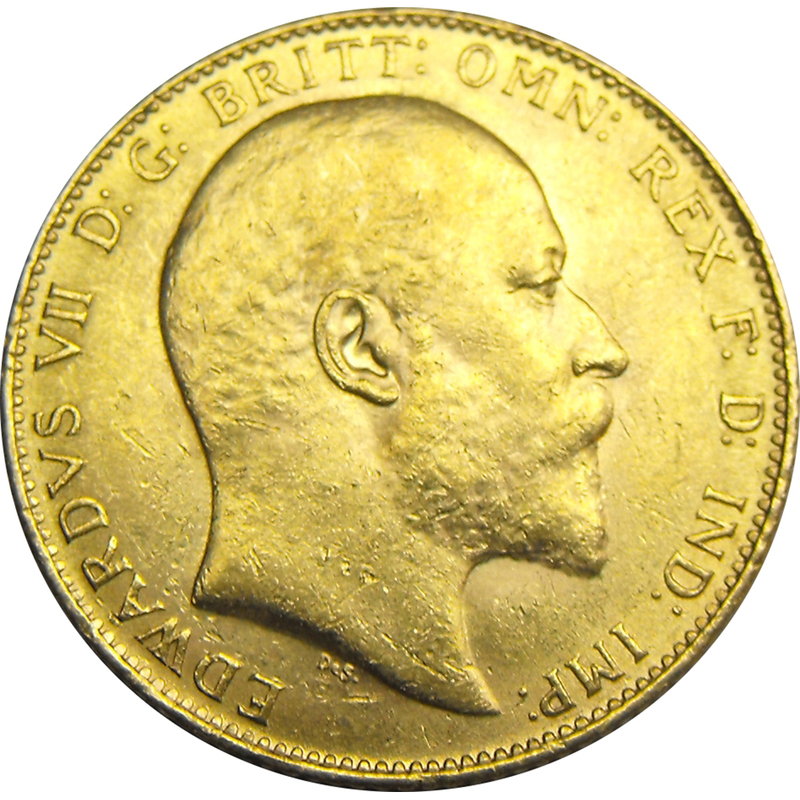 Minted by (the corresponding Mint, for example) The Royal Mint, UK. 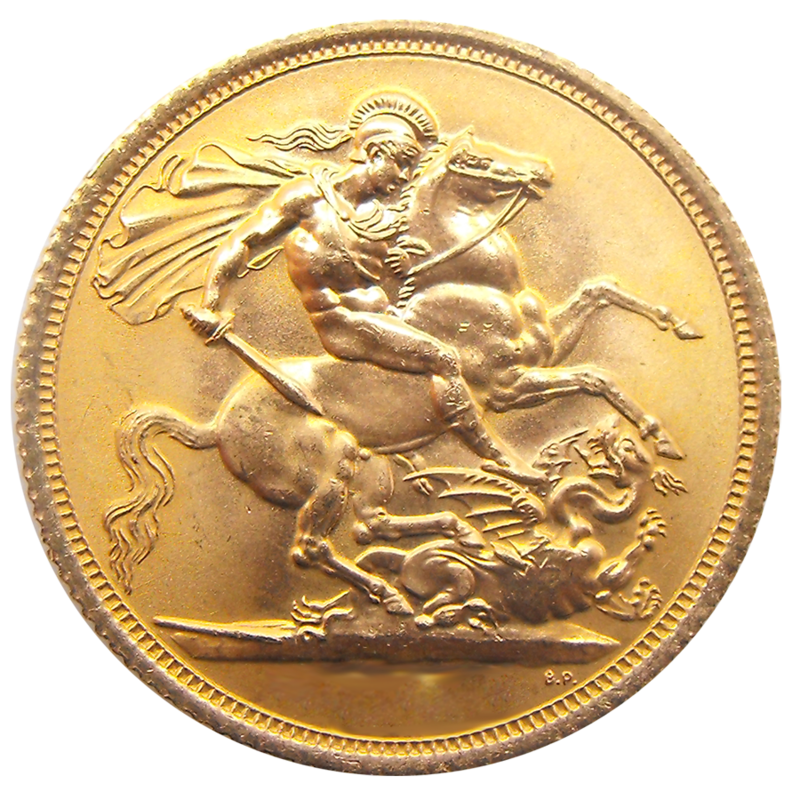 Modern British sovereigns have been struck both at the Royal Mint and at branch mints since 1817. 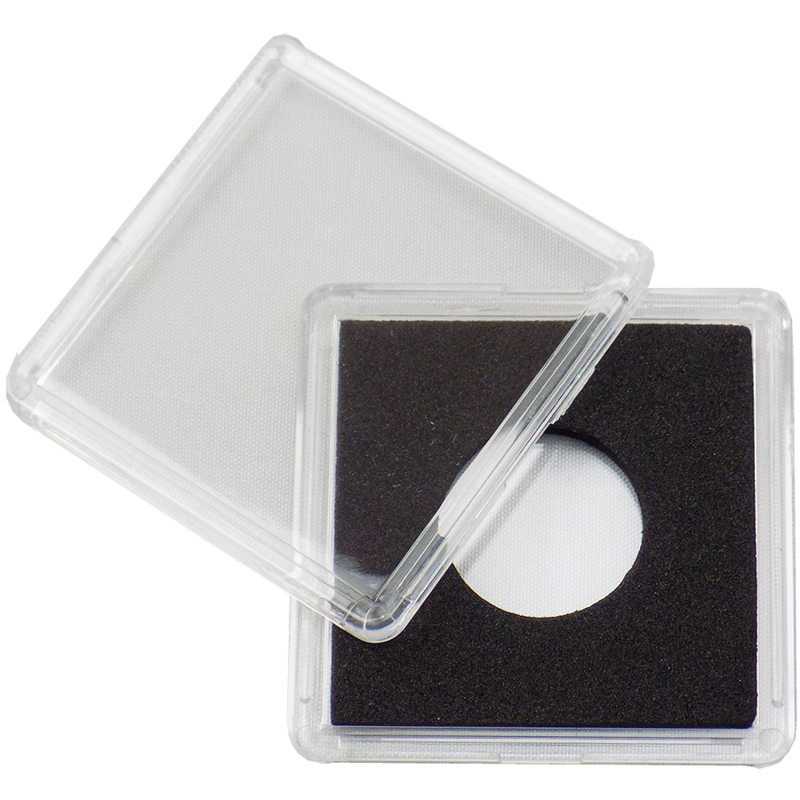 This photograph shows the type of coin you will receive, not the exact item.